Superdry women’s Storm Hybrid track top. 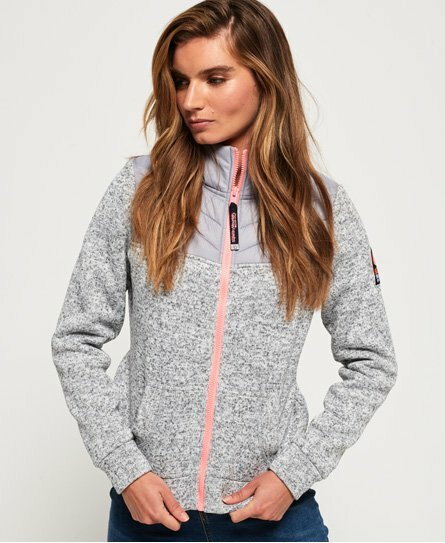 This track top is the perfect transitional piece for when you need something lighter than a jacket, and features quilted panelling on the shoulders, a front zip fastening and two front pockets. The Storm Hybrid track top is finished with an embroidered Superdry logo on the back and a Superdry logo patch on the arm.